8.14.2017 The Food Research & Action Center (FRAC) and the American Federation of Teachers recently partnered to hear from nearly 600 teachers, paraprofessionals, custodians, school health professionals, and food service workers. 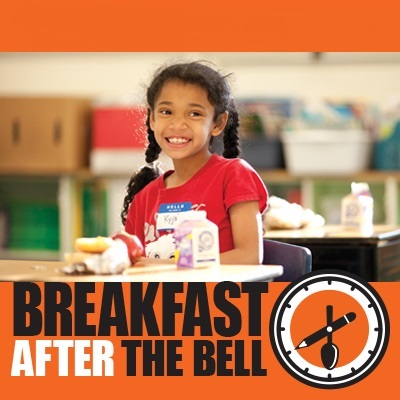 The diverse experiences and perspectives heard from have been used to inform the Breakfast Blueprint, a new guide with resources and best practices for implementing breakfast after the bell programs. features some of the best practices being implemented across the country. The Breakfast Blueprint is designed to meet the needs of schools and districts, regardless of whether they are starting a new breakfast model or looking to improve their existing model. Explore the Breakfast Blueprint online, and share it with your networks if the resource will be helpful to them. Have questions or suggestions? Please contact Tia Shimada at tia@cfpa.net or 510.433.1122 ext 109.